We’ve been in our new office and warehouse since October 1, and our new home gives us more workshop space, allowing us to expand our in-house production. 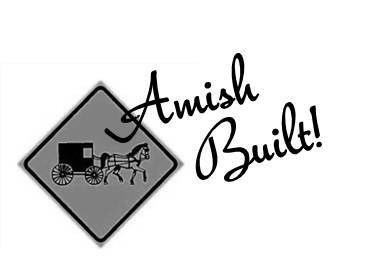 With a team of authentic Amish staff, we’ve been promoting our newest Amish-made outdoor tables, indoor restaurant table tops, and restaurant booths. These are not Amish-inspired or partly Amish-crafted items. We’re proud to say we have some really talented craftsmen on staff, who happen to be Amish and bring their strong work ethic and quality standards to the products they’re producing for customers like you – bars, restaurants, and resorts across the nation. While the craftsmanship of each item is unique and personal, our in-house production includes processes that help us maintain consistency among all of our products. So when you order a plank table top today and need another one tomorrow, they’ll match and be of the same high quality. Yet, if you need something custom-built, our talented staff can adjust the product specifications according to your unique needs. Now, that’s something you can feel good about! We feel lucky that our location in Mercer, Pennsylvania, just happens to be near several Amish communities, making it easy to recruit some experienced furniture makers. But regardless of race, religion, or heritage, every one of our staff carries out our high quality standards – from customer service to warehousing to production. We are a diverse group of employees, but we all work toward the same goal: making our customers happy. As we continue to diversify our product lines and offer more made-in-America items, we will continue to focus on quality and offering you products that you’ll be proud to show off in your restaurant, bar, or resort. And, as always, we will bring you restaurant furniture at low, fair prices. It’s just the way we want to do business with you.